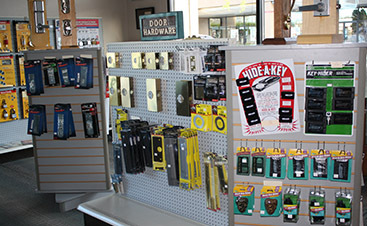 As locksmiths serving Albuquerque and the surrounding regions for over 40 years, we deal in the business of keeping our clients safe and their possessions secure. We do much more than help people get back into their vehicle when they’ve been locked out, or replacing key fobs that have stopped working. 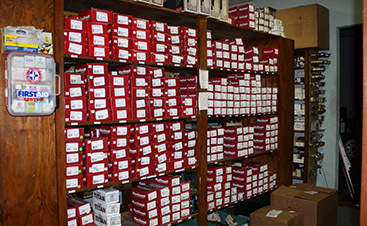 From your home to your business, and your vehicle and other items that need to be locked, we work diligently to keep you, your loved ones, and your treasured belongings safe and secure. 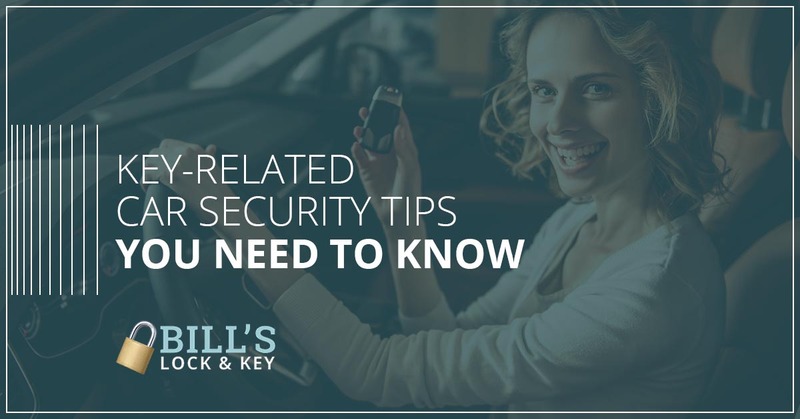 In that vein, today we want to share with you several key-related tips that are designed to keep you safe around your car. These tips apply to everyone, so share them freely with your friends and family. One of the worst things you can do when you leave your car, or when you’re about to get into your car, is to fumble through your purse, backpack, briefcase, or other personal items in search of keys. This puts you in a very vulnerable space. If a would-be kidnapper, robber, or carjacker has their eyes on you, they will use your vulnerability against you. They will pounce while you’re distractedly searching for your keys. When you approach your vehicle, have your keys ready in your hand. Even better, have the right key sorted out. If you’re standing next to your car trying to sort through all the keys in your keyring, it’s just as bad as trying to search through your bag or case. Have THE key that will unlock your car ready to go. Of course, you’ll need to hold it securely. If you drop it on your way to your vehicle, this becomes a new security issue. A potential attacker or thief will take the opportune moment when you’re looking for your keys on the ground to execute their evil plan. Take precautions to avoid dropping your keys when you’re about to enter your vehicle. One more thing: When you get out of your car and take steps towards your home, once again it’s important to have your keys ready. Before you unlock your car to get out, find your house key. As you walk to your house, hold your front-door key in your hand. This way, you’ll enter quickly, giving would-be criminals less time to make a move. When you exit your car, make sure to lock it. Don’t make it easy for car thieves to take your car! Locking it is a basic precaution everyone needs to take. We also recommend locking your car when you’re inside. Some people may argue that it’s difficult to get out of a locked car in a hurry if you need to, such as in the improbable (but potential) event that your engine catches fire, for example. But we feel that keeping your car doors locked while you’re inside prevents potential carjackers from gaining entry into your vehicle. If your car opens with a key fob, you rely on fresh, functional batteries for your car to respond to the signal you send it. 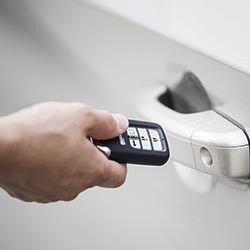 Pressing the button on your remote key won’t unlock your car if the batteries have run out, putting you in a vulnerable position. In addition to making sure your fob has working batteries, keep fresh replacement batteries on hand. A word of caution: Don’t try to replace the batteries of your remote car key while you’re standing next to your vehicle. When you realize that you have to change the batteries, return to a safe place,such as your home, your work, or a public space (like a library), and complete the replacement task there. At all times, think about your personal safety. Don’t let a distraction put you in danger. If your remote car keys are malfunctioning or falling apart, don’t wait until they’ve stopped working altogether. Tend to any needed key fob replacements as soon as you can. This will prevent unfortunate (and potentially unsafe) situations from developing down the road. For all your auto locksmith needs in and around Albuquerque, turn to the car locksmiths you can trust. 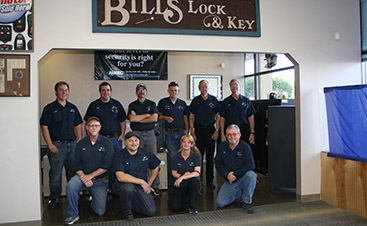 Bill’s Lock & Key will help you with everything from replacement car keys to helping when your keys accidentally get locked in your car. Reach out to us today!